The name Megève is very much associated with the Rothschild, and for a simple reason: the skiing station was created by them after the First World war, as they refused to cohabitate with the Germans during their stays in Swiss stations. Megève’s construction began in 1921, and it set off to dethrone its opponent, Saint-Moritz, right from the start by offering the best of French “art de vivre”. It was a success, and still is. Megève remains small and cosy, charming and incredibly chic. Megève is also, for me, the opening of an equally charming movie: Charade, by Stanley Donen with Gary Grant and Audrey Hepburn. In that opening scene, Audrey Hepburn devours her breakfast regally in an improbable, original outfit (by Hubert de Givenchy) that she pulls off like no other, when she meets Gary Grant. 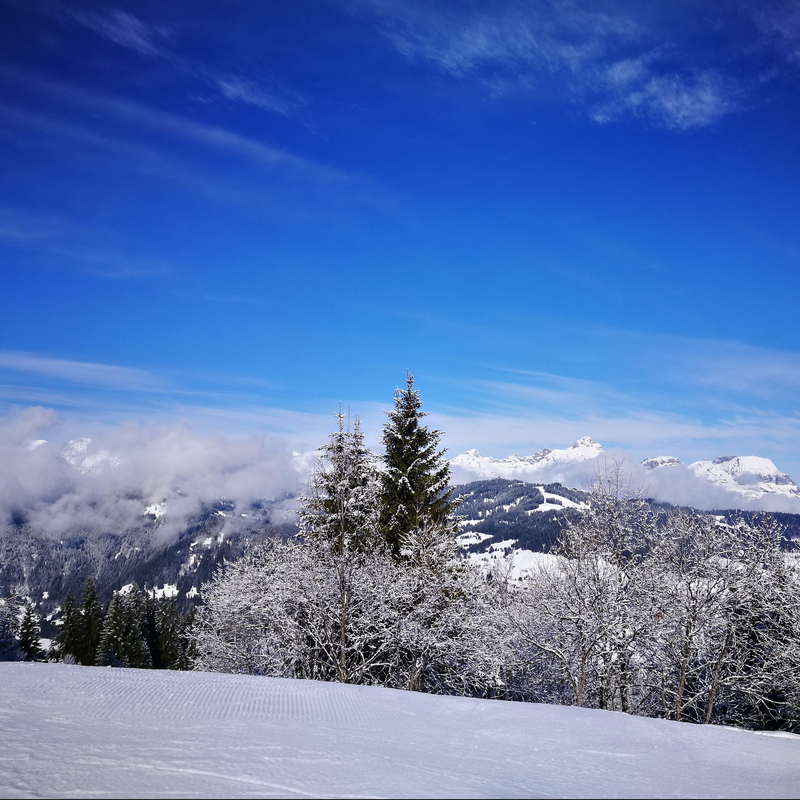 I will never equal such class – it’s always incredibly difficult to be elegant when you ski – but how wonderful it is to be in Megève.